Google Chrome for Mac is coming! Requirements: OS X 10.5 or later, Intel only. 73,804 lines of Mac-specific code and 29 developer builds later, we're excited to finally release Google Chrome for Mac in beta. We took a hefty dose of goodness from the Windows version to build a fast, polished browser for Mac -- with features such as the Omnibox (where you can both search and type in addresses), themes from artists, and most importantly, speed. Try downloading Google Chrome for Mac and see what you think. We also took great care to make Google Chrome a native application for Mac. For example, we integrated the Keychain into Google Chrome for Mac, and incorporated Mac-style animations when you open the Bookmarks bar. 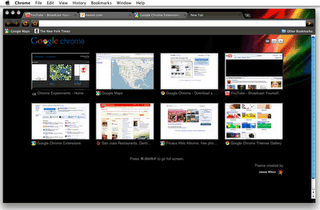 Official Google Chrome on Mac OS X: Coming soon! 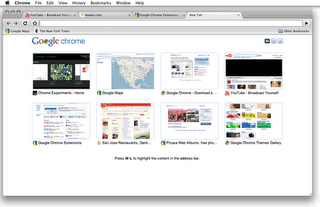 Not very useful at the moment: without the extensions, Chrome is roughly a clone of Safari. Same spirit (fast, lightweigt, ...). However Chromium is available on Mac and more recent than Chrome. In particular it supports extensions. That's what I use now. The first operating system from Google is going to released in this year. This new operating is labeled as Google Chrome. It is going to be released as a Open Source operating system. It is believed to be a Linux kind of an operating system. Designed specially for Internet Users. For latest updates on Google Chrome OS and other related information you may visit the following site which was quite helpful for me. Finally! I was waiting for Google Chrome for Mac whole year. I'm so happy!